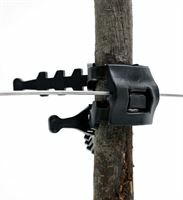 Our Tree Support ties are designed to keep tree yards organized and reduce labor. They keep trees upright even in rough weather. They work with a variety of tree sizes and are designed not to damage tender young trunks. 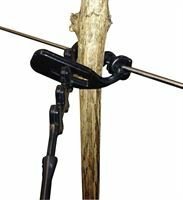 This tree support tie is designed to support and protect trees when grown against steel, nylon wire and no-slip cords. The non-slip design holds the tree firmly in place. The soft synthetic rubber and design cushions the tree and prevents trunk damage. Strong and long lasting. Designed for trees up to 15 gallons. 100 per pack. This durable, rubber tree support is designed for trees up to 30 gallons in size. They support and protect trees grown on steel, nylon wire and no-slip cords. They are designed not to slip and the rubber cushions and protects tree trunks. 100 per box.